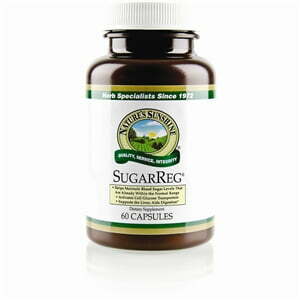 Nature’s Sunshine SugarReg® blends eight nutrients that help maintain a healthy glandular system. The formula is specifically designed to balance blood sugar and insulin levels while supporting healthy digestion and healthy liver function. 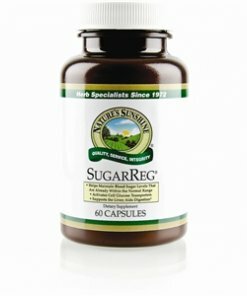 Banaba leaf, gymnema, nopal, bitter melon, and chromium join together in SugarReg to provide essential support to glandular function.